Just as rebooting a computer fixes many issues Why Does Rebooting Your Computer Fix So Many Issues? Why Does Rebooting Your Computer Fix So Many Issues? "Have you tried rebooting?" It's technical advice that gets thrown around a lot, but there's a reason: it works. Not just for PCs, but a wide range of devices. We explain why. Read More , resetting your browser to its default settings can help fix several problems. Here’s how it works on Firefox. Clicking on the Refresh Firefox… button restores Firefox to the state it was in when you first installed it. You know what this means, right? You’ll have to say goodbye to the browser setup Warning: 5 Mistakes That Will Ruin Your Browser Setup Warning: 5 Mistakes That Will Ruin Your Browser Setup Your browser setup is a fragile thing. One "oops" moment and you'll have to say goodbye to it. Don't let that happen to you. Read More you have painstakingly built and set up Firefox from scratch. Had to fight with a very nasty malware on my PC. After I tried almost everything without success, a simple Firefox browser reset worked. Have you ever reset Firefox as part of troubleshooting? Did it fix the problems that you were hoping it would? Thanks Akshata. 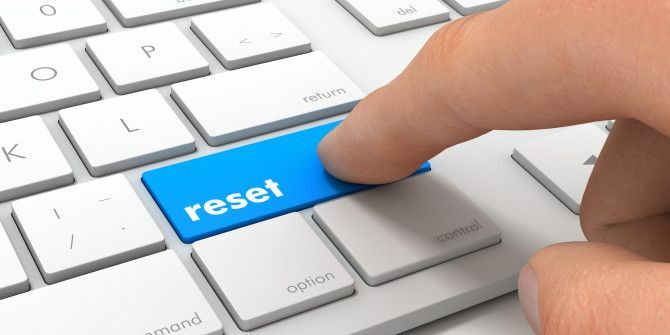 I wish it would work by creating a new reset profile that you could then start up but at least there is no data loss the way they do it and you can jimmy the old back into the profile directory if you know what you're doing. Yeah...you can restore data from that profile folder if needed, but like you have said, you need to know what you're doing. Otherwise, you might just end up sort of importing the problems you had before the reset. Oh, never mind. I forgot that there still isn't the option to be notified of responses. Does this only affect the active profile or are global changes made to the program itself that will affect all profiles? Don, it affects the current profile only as far as I know. Firefox creates a new profile, imports some data like bookmarks and history to it, and puts the old profile in a folder on your desktop.